Developed in 68000 assembly programming language. Soundtrack features FM synthesis (YM2612) and square wave (Sega PSG) compositions. PC version adds support to analog controls. 1.01: Increases Windows compatibility and adds PDF version of the game manual. Error creating thumbnail: convert: Expected 8192 bytes; found 8151 bytes `/tmp/localcopy_c9f1cb869dc7.png' @ warning/png.c/MagickPNGWarningHandler/1654. convert: Read Exception `/tmp/localcopy_c9f1cb869dc7.png' @ error/png.c/MagickPNGErrorHandler/1628. convert: no images defined `/tmp/transform_9f1192e14723.png' @ error/convert.c/ConvertImageCommand/3258. 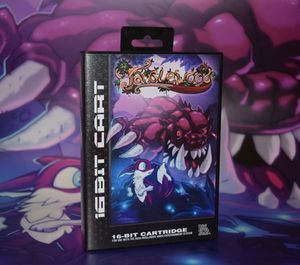 All versions come with a SEGA Mega Drive/Genesis-compatible ROM file, which can be used with 3rd-party flashcarts and any compatible emulators. 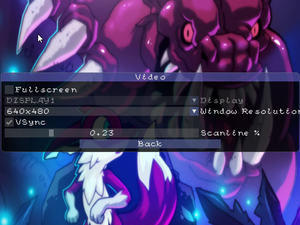 Steam version is based on 60Hz-optimized Mega Drive ROM. User has to select the desired key using a combo box. 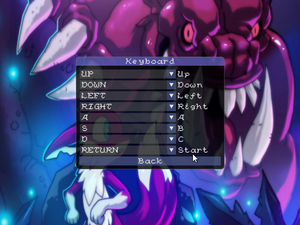 Tanglewood uses SDL2 Game Controller API. 2.0 2.0 or higher since it uses shaders. 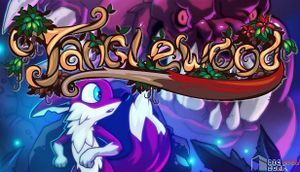 ↑ 1.0 1.1 1.2 TANGLEWOOD Release Date Announced!